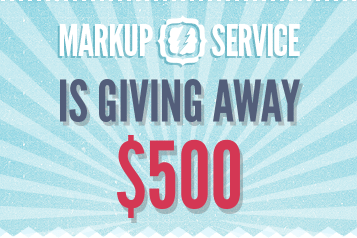 We’re excited to bring you another great competition today, from Markup-Service.com, who are giving away $500 worth of their services. It’s a great chance to save your time and energy on coding and get clean, valid and fast-loading markup developed. Read on to find out a little more about how to enter — it just takes a couple of seconds! Markup-Service is a team of experienced professionals who provide fast, quality, PSD to HTML/HTML5 conversion — all with really good customer service. Their code is well structured and optimized, and websites based on their markup are fast-loading and accessible. No matter how complex your project is, these guys will make sure it works well in all popular browsers, on desktops, tablets or smartphones. Markup-Service can also create both desktop and responsive HTML/CSS for you. Just check out some examples of their work.